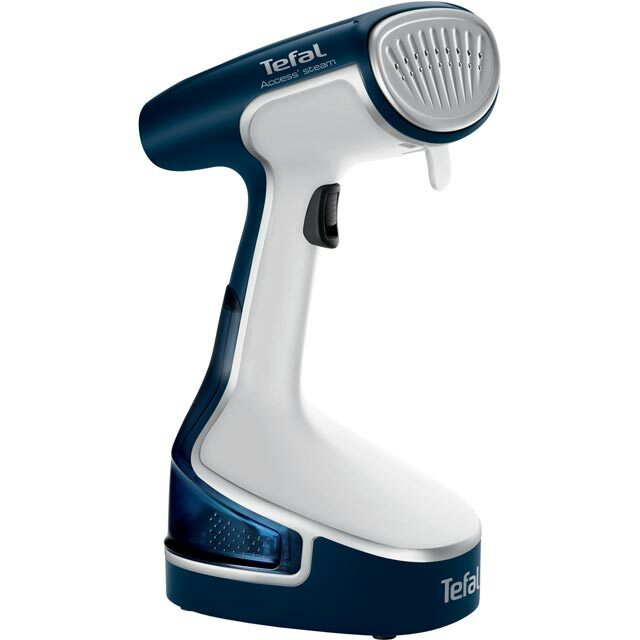 Freshen up your wardrobe with this handheld garment steamer from Tefal. Its generous 2 litre water tank helps you leave more of your clothes crease-free without needing to re-fill it too often. And, because it heats up in just 45 seconds, you’ll have no trouble quickly removing any imperfections in your shirts before work. The vertical steam function makes it great for delicate items, as you can gently take care of hanging clothes or even curtains. Plus, it has an ergonomic trigger which locks in place, so you don’t need to hold it down to get a constant burst of steam – ideal for those stubborn wrinkles. This is such a useful item. I am not keen on ironing and this is a real help to avoid a lot of the ironing I have always had to do. It works well on all sorts of material but could do with a back cover to steam against. Some water does come out of the steamer but its not too bad and the water holder could be bigger but the cord length is good (3m) and it is a sturdy machine with a 2 year guarantee. It is a life saver for me! !